Crumbling Foundations is a stimulating and largely informative introduction to money and monetary systems. It includes a brief account of the history of money, an analysis some of the issues and problems of contemporary monetary systems, and some thoughts about how money might develop and diversify in the future. It also claims to be a biblical critique of modern money. The bulb on the back of the booklet says it brings biblical principles to bear ‘on a monetary system [that] is fundamentally unjust and unstable’. The descriptive elements of the booklet are mostly good, much as one might find in a chapter on money in an introductory book on economics — with only a few places where an economist might want further clarification. Moreover, as a critique, this booklet has some important things to say. It’s very helpful to understand what money is, how it works, how it’s ‘made’ — and how it can be manipulated by the parties involved. It’s important to understand the vulnerabilities of different monetary systems, not least our own, and the different possibilities for monetary reform or innovation. That said, this booklet presents an almost entirely gloomy picture of the role of money in recent economic history. I would have liked more on the positive side — the contribution of banking and money to innovation, growth and the reduction of poverty, for example. I was less persuaded by the many claims in the booklet to be a biblical analysis. There are two main ways the biblical material is brought to bear on the contemporary issue of money. The first relates to the biblical material concerning lending at interest. The claim is that the Bible presents lending at interest as ‘a form of injustice and oppression’ (page 25). This places the biblical approach at odds with modern monetary systems in which ‘debt and interest are inherent’ (page 19) and where most money is ‘created hand-in-hand with debt’ (page 41) — suggesting the need to develop systems of ‘positive money,’ created without debt (pages 41–42). But the biblical material on lending at interest is almost entirely concerned with situations of borrowing as an emergency measure to survive a period of extreme poverty. The biblical case laws regulate lending in this case, so that lenders do not profit from the misfortune of their neighbours, and so that borrowers have every opportunity to escape their poverty. To extrapolate from these cases to issues of debt and lending in general is quite unwarranted. Indeed, from Deuteronomy 23:20 it’s clear that lending at interest in some cases absolutely fine — ‘you may charge a foreigner interest’. This exception to the ban on charging interest in the rest of these verses does get a mention (page 20), but is skipped over with such unsatisfactory brevity that it renders this part of the booklet wholly unpersuasive. The second way the biblical data is applied in the booklet relates to the wariness we find in the biblical account to centralised authority (page 12). Biblical teaching is concerned with ‘limiting [the] concentration of power’ (page 44). We can agree this is a biblical principle — although it’s perhaps more implicit than explicit, and certainly not spelled out in any great detail. But how much traction it gives us when we apply it to questions of money and the design of monetary systems is doubtful. After all, monetary systems are already to some extent decentralised. Individual nations tend to have their own currency, and individual governments frequently discover they have far less control over the money supply than they would like. 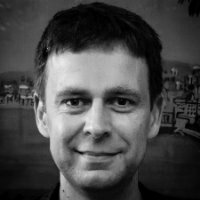 How much centralisation is too much centralisation? It seems to me the Scriptures don’t give us any explicit guidance here. We have to come to a conclusion some other way. Guy Brandon doesn’t fall into the trap of taking biblical descriptions of money and monetary practice and turning them into contemporary prescriptions. That would be a mistake, and he recognises this very clearly (page 34). (Just imagine doing something similar with the biblical descriptions of agricultural practice in the ancient world and building a ‘biblical critique’ of modern mechanised farming techniques.) Nonetheless, he does get pretty close to this mistake, especially in the concluding comments (pages 44–45). And he does overstate what the Bible has to say explicitly and directly on the ethics of money and monetary systems. It may well be in the end that money is one of many issues on which the Scriptures do not speak directly. As creative beings made in the image of God we are expected to work it out for ourselves — within broad parameters, summarized as loving God and loving neighbour. An exercise in biblical wisdom, then. To which at least some parts of this booklet make a useful — if rather one-sided — contribution. 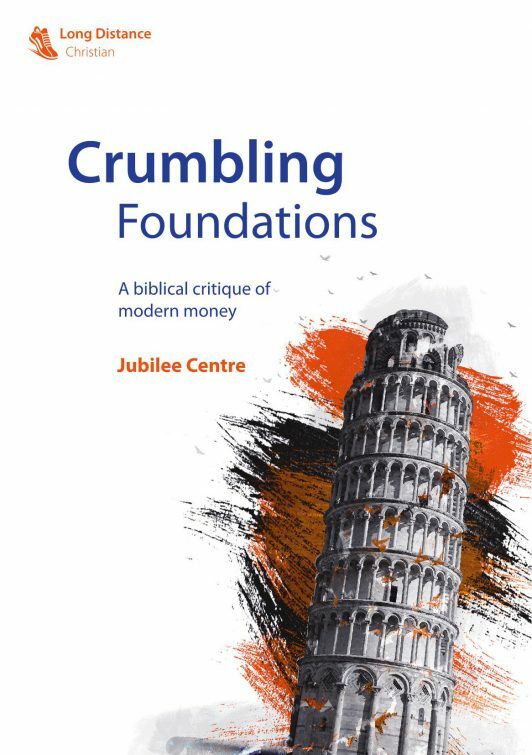 “Crumbling Foundations: A Biblical Critique of Modern Money” was published in 2016 by The Jubliee Centre, Cambridge, 56pp. Revd Dr Ben Cooper is Minister for Training at Christ Church Fulwood in Sheffield. He holds doctoral degrees in both Theology and Economics. Before training for ordained ministry, he was a post-doctoral research fellow in economic theory at Nuffield College, Oxford. He is married to Catherine and has three children.